I agree on this point, that song was in book and made the story lighter, just like the book. Other parts like Bilbo attacking the spider like creature and coveting the ring, which never happened and destroyed his character. The stupid rip off of Helm’s Deep with the women and children being chased. They were left at the lake for a reason, stupid drama. Otherwise, massively better, another 1/2 hour of crap out and you would nailed it. Removing some of dragon banter like him taking off the ring was also ridiculous but no doubt hard to remove and would have made that part too short. I remember again why it was my favorite book growing up. I wish you were there editing these movies with Peter Jackson. Why their idea of a bridging movie and two Hobbit movies was scraped, is beyond me. This proves that 2 movies would have been plenty, most of what Jackson and crew added was a retread or just plan senseless and terrible. I do not know if you read comments anymore, but if you do(and even then) you probably know that the 1080p version of the third movie has been leaked before the official release. Whether you want to wait for the extended versions or not, it would be nice to re release it in the glory of FHD it deserves. Cheers mate. re: golden smaug. I believe you can resolve this issue by cutting from the interior shot as Smaug leaves the mountain to an exterior shot as Bilbo climbs up the rock to see Smaug flying away. Are there any plans to go full HD now that The Battle of the Five Armies has been released on digital download? This would give you a chance to make this your masterpiece. Great work I really enjoyed it! However I couldn’t help but notice that you have used a preset to export the video resulting in the encoded black bars on the top and bottom, as well as the possible lower quality. So I was wondering if I may be of some assistance, and help you re-export the video in the source video’s quality, with a probable lower file size too. Nice job! I’ve been waiting for a short cut of these movies eversince I saw the “an unexpected journey” in the theatre and never went back to see the rest of the trilogy. Waiting for the day a bullshitless-cut would be available. Note: utorrent has lately turned to malware, so I suggest using an alternative like qBittorent, Deluge, or Transmission. English subtitles please? I have a father who’s hard of hearing, and would love to watch this but needs subtitles. THX! hello, still had no time to watch your cut, but you’re awesome anyway for erasing all that garbage that’s nearly ruining this great universe. just’ve one question… is this grima wormtounge-like idiot from the lake town still in your cut? Everyones complaining about the subtitles and it being in HD. well how about the accuracy to the book?!?!? This edit is suppose to be accurate to the book, thats the whole reason he did this, but the thing is: it’s not. He eliminated most of peter jacksons crap but he still left out neccesary scenes from the book which i am u happy about. Its not as accurate to the book as i would like. Atleast Jacksons movies has scenes from the book built into additonal crap, the tolkien editor removed scene that actually happened in the book. Let me say a wholly appreciate this edit. It’s a huge act of contrition for paying for three movies when should’ve (at most) paid for two 2-hour films. That being said, I second other commentators on this post that a 720p to 1080p would be most appreciated. Let it be in HD! You´ve done a very good job,indeed. As it inspired me to cut my own version out of the german sync, I got a question: In terms of the sound/tone, were you able to just cut out the scenes and leave it there and there still was a smooth transition between the scenes? Or had there to be some special effort? Ich würde gerne die deutsche Version eines Recuts sehen! ~ I wish you had left the dishes song in, that was always my favorite bit from the book. ~ and when the eagles save them could have been left in too. I know you said you personally found it jarring to go from action scene to brief respite to action scene again, but I found it jarring to keep going with a chase AND change daylight – it literally goes from almost dark to DAYLIGHT. all you needed to do was cut the bit between Azog, Thorin, and Bilbo and it would have made perfect sense and still been exactly like it was in the book. ~ also, you could have left out the Goblin King’s bit about Azog wanting Thorin’s head. it would have been perfectly fine if Azog showed up after the king’s demise, because that would have looked far more realistic, like you said, that they were avenging the king’s death. as it is, it’s like, “Whoa, who the heck is this orc dude, what is going on, gah! ~ there was another comment up there, about how you don’t have to show golden!Smaug coming out of Erebor. 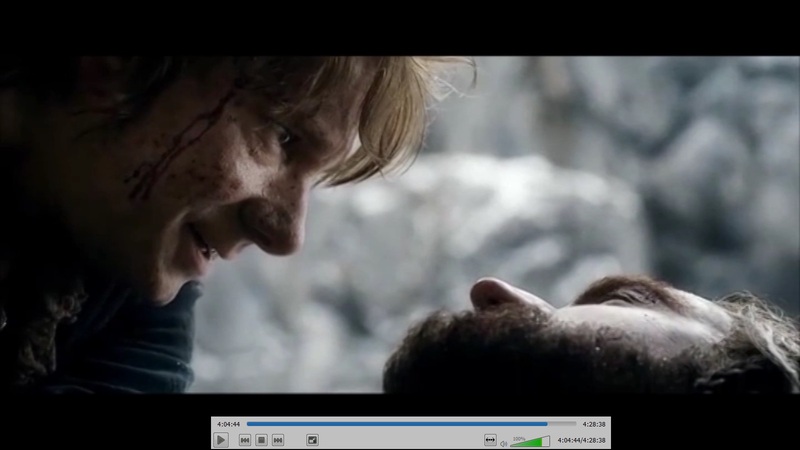 after he tells Bilbo he can watch the Lakemen die, you could just cut to the shot of the actual town, then back to Bilbo outside. He eliminated most of peter jacksons crap but he still left out neccesary scenes from the book which i am u happy about. Its not as accurate to the book as i would like. Atleast Jacksons movies has scenes from the book built into additonal crap, the tolkien editor removed scene that actually happened in the book. Hi, I haven’t watched it yet, but great idea, but you already know that ! However, there are subtitles, but not english ones ! That’s kinda surprising ! First off, a HUGE thanks for putting in such a labor of love! True Tolkien fans, myself included, are truly appreciative. Might I add to the few other comments that a 1080p edit would be AMAZING now that all 3 films are available on Blu-Ray. Even an “m1080” like what anoXmous puts out. THANKS!! Thanks for the great effort! Wer are all so very greatful for your work which saves the Hobbit trilogy for us. As so many other comments have asked, I will also go and ask for a 1080p Version including English subtitles! I’ll also second what CLAUDIA STROZZI said: Put in the dish washing scene. The only real thing I liked about the Hobbit trilogy was that it allowed itself to take it’s time in the beginning. Otherwise, great!! Excellent edit. 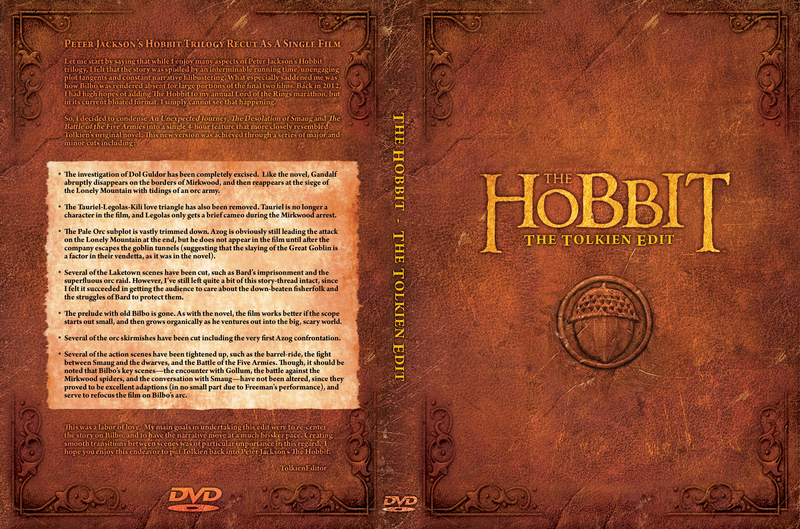 I suppose the anticipated blue ray special edition will look good beside my LOTR copy but I suspect this is the version I will watch in reality because it is nearer to the book which I first read when I was 10. PJ took some liberties with LOTR which were generally overlooked because the narrative across the trilogy worked well. I’m afraid the studio saw dollar signs this time and it hasn’t quite come off in the same way. Greetings, I have corrected a lot of mistakes in the spanish-latin america versón of the subtitles (Forgo or Nightwolf: nice work anyway!) and want to share it with everybody. Where should I sent it? By the way, this short version is the best. Congratulations on the amazing effort. It must have been an enormous labour of love. The patience, the dedication… Wow. I’m a screenwriter and I’m reminded of a concept for a website and cable television show called ‘Rewrite!’. Essentially, its resident 3 screenwriters would examine a movie and, as the title suggests, rewrite it. Additionally, I’d envisioned it with an artist who’s able to do storyboards very quickly. I’ve been told that the concept would never be allowed to happen by Hollywood…but from my point-of-view, it’s merely an evolved version of a film review. I think that it hasn’t ever been done (other than in some screenwriting courses) simply because…it’s never been done, period. While he did try hard and spent alot of time on it, I am not really happy with the edit as he shortened, changed the order or simple cut out plot building scenes that happen in the book. I want a movie that follows Tolkiens book, not a movie that follows “the TolkeinEditor”‘s book, which is essentially what this is with the changes hes made. 1-Já que cortou a cena do anão de ouro, então para que serve as fornalhas? 3- Os créditos também tem erros.Você esqueceu de apagar a Tauriel. Galandriel Radagast e Saruman e em vez de cocar o Andy Serkis (gollum). 4- E também se esqueceu de cortar o Bilbo vendo o Olho de Sauron. 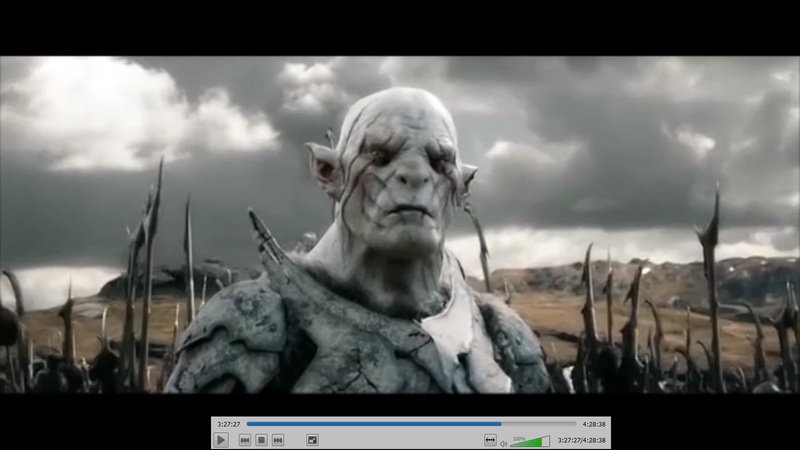 5- A fanedit parace está mal montada; como Thorin sabe de Azog? Thorin luta contra Azog com uma espada anã, corta e quando volta, Thorin está com uma espada elfica. Bilbo usa o anel corta e quando volta o hobbit está sem o anel.Por que Thorin disse que pediu ajuda aos elfos, se anões e elfos são inimigos e como os elfos traíram o Thrain se este era um anão? Se você não quizer fazer outra versão tirando estes erros, pelo menos me explique o que aconteceu, please? Thank you. 1- Pra o que fornalhas geralmente servem: fundir metais. 2- Sim, ela aparece aqui e ali. E se tu não souber que ela é ela, não faz a menor diferença. Ela é só mais um figurante. 4- Não me recordo dessa cena, pra ser honesto. 5- Cara, é uma edição de fã. Não tem como o cara simplesmente fazer o troço em CGI ou regravar as cenas pra que descontinuidades como essas simplesmente desapareçam. O cara fez isso em casa, pelo amor à obra. Se tu souber como fazer essas edições propostas – que envolvem mais do que simplesmente editar o filme, mas sim editar os frames – então dá uma ajuda, faz uma versão e coloca na rede. Garanto que muita gente vai agradecer! A fanedit parace está mal montada; como Thorin sabe de Azog? Thorin luta contra Azog com uma espada anã, corta e quando volta, Thorin está com uma espada elfica. Bilbo usa o anel corta e quando volta o hobbit está sem o anel.Por que Thorin disse que pediu ajuda aos elfos, se anões e elfos são inimigos e como os elfos traíram o Thrain se este era um anão? Com relação ao Thrain, Thorin se refere ao fato dos elfos não terem ajudade quando o dragão atacou Erebor e nem durante a batalha de Azanulbizar, anos mais tarde. A desconfiança dos anões com relação à elfos vem daí, alias, mas as duas raças não têm rixas ancestrais, só uma leve desconfiança mútua. Hi – I just watched your edit, and as so many others have said before me: Thank you so much!!! I really enjoyed it and it made some things good for me which the last two PJ movies had destroyed. I’ve read that others want ‘Blunt the knives’ back – well, it is a nice touch surely, but I actually didn’t miss it that much. What I probably would cut down even further are the ‘fight and run’ in Goblin Town as well as the barrel ride/orc chase, but I’m not sure it is even possibly with the material ‘available’ without producing loose ends. All in all I’m really amazed how easy it apparently was to cut out most of the stuff that came either from the appendices or from ‘PJ’s fan fiction’. And a lot of those details that would look inexplicable if someone would only know your edit (like golden Smaug, Tauriel in Lake Town, or Thorin having Orcrist again at the end), are so minor, they could easily be edited out if someone had the original material and equally good CGI options and/or the possibility to do very few pick-up shoots with the actors. Again, thank you, and may you long be able to offer your edit as a download! Hi! Would love to see this but can’t seem to download it. Is there any site that it is posted on? I’m working on a fan edit myself so I’ll definately give this a look 🙂 My biggest problem so far (since I’m not a professional) is making the audio flow smooth through all the cuts. Any advice on that? my advice is to actually read the damn book. The “tolkien editor” as he calls himself obviously didn’t as he ommited plot building scenes and even flopped the order of some sequences, I am not happy with the edit and i would rather spend 9 hours watching Peter Jacksons atrocity then this false 4 hour supposed “fan” edit. Really, just read the book and include only scenes that happen in the book. If you would like help deciding what goes in or not i could lend a hand, i have read it cover to cover multipul times. Thank you for finally redeeming that 9 hour abomination nobody should like. Thanks for the work you did on this. After the first Hobbit movie, I hoped that there would someday be an edited version without the extra sub-plots and endless action scenes. After the second one though, I thought that there wasn’t enough there to salvage it. Did not see the third movie. I think you did a remarkable job considering what you had to work with. Cutting the extra stuff was probably the easy part. Working with all the changes that Peter Jackson made(and things he just plain got wrong) and still remain true to Tolkien’s story is much harder. We can argue about scenes that were cut or left in, but the basis of the story is still there without being buried under PJ’s sludge. Is the Tolkien Edit really completed? 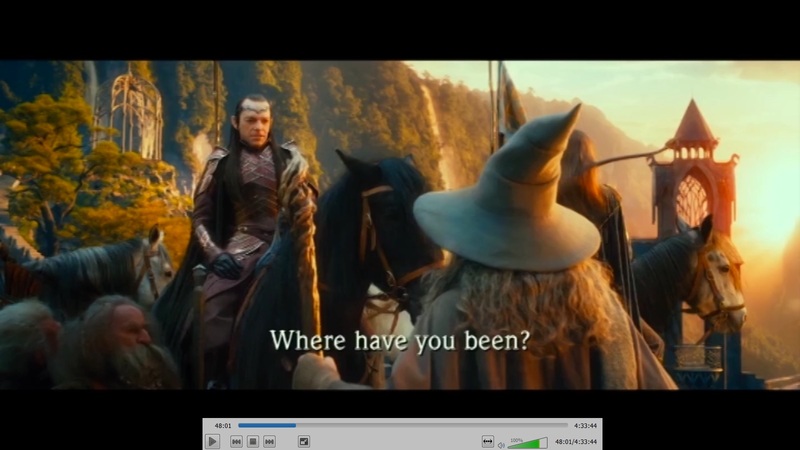 I ask these because the “battle of five armies extended edition” has not come out yet, and since the ending in the theatrical film felt rushed maybe there is some footage in there that was originaly in the book and that would fit in the tolkien edit. So, now we have the extended edtion of the last movie. Could you include some few extra minutes in the final masterpiece? Some of your cuts/edits are bizarre. I haven’t watched the whole thing yet, but you’ve completely cut some stuff that’s in the movie AND in the book. Dwarves washing dishes, wargs chasing party up trees, throwing fire cones, eagles come. When I was them run out of the Goblin Town gate, a ways through the woods, then run into Beorn’s door I was like…WTFChuck!? Have you read the book? Just curious. no he has not. He inclued azog past the battle of azanulbizar where he died. While he did remove most of Peter Jackson crap, he excluded actual plot moving scenes in the book that were in the film. Like u said, the burning tree scene and most of goblin town. Those scene were actually in the book and should not have been cut at all because they were accurately depicted. I am not very happy with his edit. I actually watched this properly now and you may have had good intentions but, sorry to say, it was really badly done. I know you wanted to make it as accurate as possible, but you’ve even left things out that were in the book, edited it in such a way that it disrupts the continuity of scenes, and left out “embellishments” that every movie needs or are little nods to the LOTR trilogy. In any case, it was smart of you to actually think of doing something like this, and maybe you’ll come back with a version 2 that addresses all of the issues I, and others, have. He did this for himself and gave us the gift of being able to enjoy it. Im sorry you didnt but most of us who took the time to download it did appreciate it. Whether he does another and posts it again it will still be a gift. He had things that had to be cut out because there was too much Jackson embellishments and without the original footage he couldnt save everything. Also he wanted to cut the story down to fit into one movie, albeit one long movie. If others think it is not good enough they are welcome to try their own hand but he does not need to do more for anyone else. I am very happy with what TolkienEditor has given to us. No. No it was not badly done. It was very well done and those of us who wanted to see “The Hobbit” and not Peter Jackson’s “embellishments” and “little nods” (to his own work, not Tolkien’s for the most part). This was far better than the three part story that ended up in theaters. I really loved your work and enjoyed watching it! Yet I was wondering if anyone edited english subtitles for it. Thank you very much, some help with that would be appreciated! I thought it was fantastic and like others I’d have tweaked it here or there to suit my own wishes but really, there were so few places where that’s the case that I see no point in listing them. You did very well indeed and as far as I’m concerned this is the real “Hobbit” (until such time as you see fit to do it again in higher resolution!) Thank you for sharing what you’ve done! You saved Peter Jackson’s “attempt” and I think the man should send you a big fat check! So glad I found this. I’m looking forward to watch this. I watched the first Hobbit movie and thought it was terrible with all the added rubbish. I didn’t even bother seeing the other two and from what I’ve heard I’m glad I didn’t. I could actually enjoy this version though. So many things they did right in the films but marred by their obsession with adding their own bits. Same with LOTR to a lesser extent. I’ve watched that trilogy a couple of times and like them for the most part but the needless additions to the story always bug me. I’d love to see a Tolkien edit of LOTR and I can think of plenty of obvious scenes to cut. Scenes which add nothing to the story and often detract from it or simply don’t make sense. Eg. the warg attack and Aragon’s ‘death’ & visions scene. 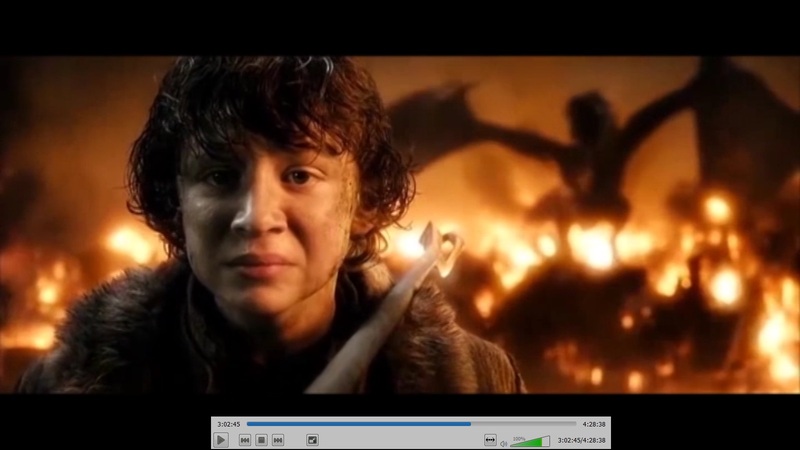 Frodo sending Sam away. Faramir taking the hobbits back to Gondor. The cave troll fight too. I know a lot of people like that scene. Good action scene but it simply didn’t make much sense and overshadowed the Balrog scene which really should have been the climax and turned out to be an anti-climax. The mighty balrog that was an even match for Gandalf – while 10 minutes earlier we have the entire fellowship (including gandalf) almost getting their tails handed to them by a single troll. A troll like the one Pippin later took down single handedly (actually the one pippin killed was an even tougher olog hai black troll). Like the ones plenty of humans in the books killed. Heck one of Aragorn’s ancestors single handedly killed seventy trolls in a single battle, yet there we have one troll appearing to be more powerful and formidable than a Balrog (which is essential a demigod). Just one example of something they added for dramatic effect which introduced a whole swag of things that didn’t make sense. I know the LOTR films were a lot better than the Hobbit but they could still benefit from a Tolkien edit. Thank you for doing this. I’ve downloaded and watched your latest edit. All I can say is, BRILLIANT! Would that Peter Jackson had gone with this version instead of spreading it into three films. The narrative feels closer to the spirit of the book. I shall add this version to my annual December LOTR marathons. Hey TolkienEditor! I’ve been trying to find a way to directly contact you – I’ve also made my own 4 hour fan cut and I would like your input on it before publicizing it. 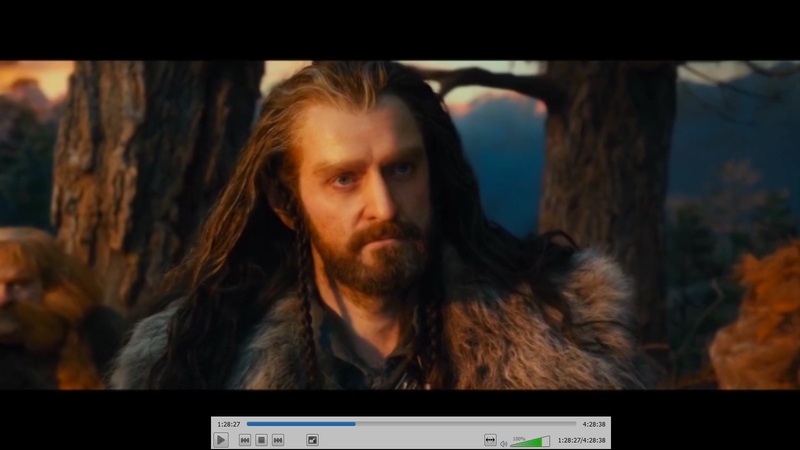 I’ve posted my film at https://goldfishblues.wordpress.com/2015/06/14/the-hobbit-the-bilbo-edition-4-hour-fan-cut-of-the-peter-jackson-hobbit-films/ , but I’m new to using torrents and was wondering if you could help another super-fan out with some advice/assistance. I provide a link to your fan cut as well and would be immensely grateful for your help. Thank you, and fantastic job on your own fan cut! 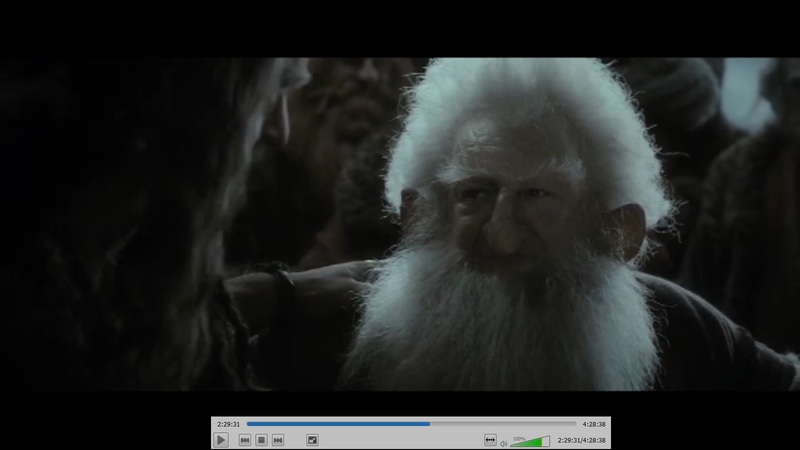 I finished watching The Hobbit as it should have been: one movie, with all the focus on Bilbo, the Dwarves and Gandalf. An anonymous fan has edited out all the superfluous crap and given us the real tale. If you loved the book, as I did, and felt the monstrosity that Peter Jackson inflicted upon us was a bloated and scattered mess, then I wholeheartedly recommend checking it out. It’s wonderful; by jettisoning all the extraneous elements (much like a sculpture who chips away all the parts that aren’t necessary) what’s left is simply the story. And what a great story it is, Martin Freeman’s performance is now front and center, as it should be. Bilbo grows as a character with every encounter: the scene of riddles with Gollum is kept together as one scene, and there’s no cartoonish goblin battle, they quickly fight their way free, then run away. Mirkwood is smothering, the fight with the spiders is suspenseful and brisk, the barrel scene, which was such a travesty, is about 5 seconds long, the confrontation with Smaug is actually frightening, with the entire molten gold ridiculousness excised. Everything is tight and it flows well from one scene to the next, paced as it was in the book. There are no Orcs battles along the way, each one diminishing our expectations. Instead the tension builds as the story unfolds, and when we reach the Battle of Five Armies it’s POWERFUL, and climatic. You perfectly articulated my thoughts! Great FB post. I agree, he should really reduce the ammount of orcs through out the film (with the exception to the goblin town, which was pretty much word for word what happened in the book). Azog died in the first flash back he was mention in, which was the only time he was ever mentioned in the book at all. All those rediculus dry attempts a commic releif need to good and like u said, reduce the superflous filler scenes. I’ve had this for a while and only now got around to watching it, because the Hobbit films seemed more tedious to watch than LoTR. But I must say, your edit makes it a better watching experience 😀 So, Thanks for the hard work! And Good Job! Got it. Just tested it. And noticed it was only the dvdrips of the movie….I was hoping for a 6gb file it’d be the blueray version….do you plan on redoing it with the blueray versions too I hope? 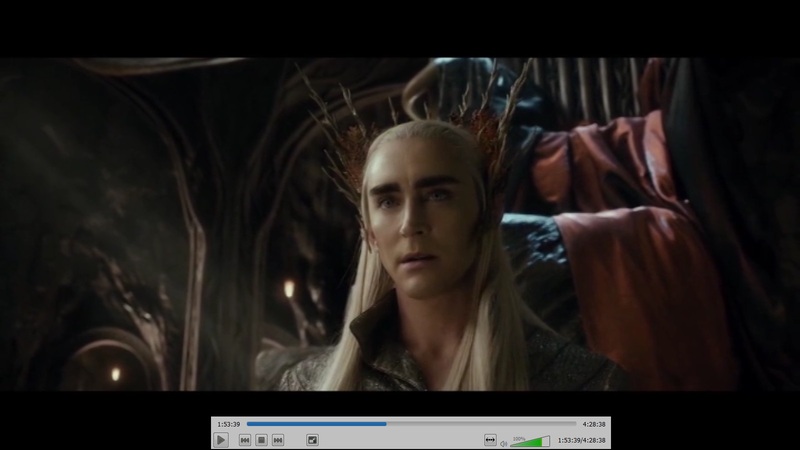 Because this is pretty bad quality….its closer to vhs rip then dvd….its blurry and some scenes look choppy….. I downloaded the movie (many thanks) but it was in 4:3 and so I had to covert it to 16:9 (I also had to have an avi for my PVR), so in the end it came out at 1.77GB – a much better figure. Could you please convert. Many thanks Paul. There a few head-scratcher edits like completely omitting the eagles/fire scene after the escape from Goblin town. The company teleports to Beorns Hall otherwise since there is significant distance the eagles solve. I would also drop the Smaug/dwarf fight under the mountain in it’s entirety since this is worthless padding that never happened in the book. You can easily transition it from Inside Information to Bilbo still running from Smaug in the first chamber where Smaug starts blaming Lake Town based on Bilbo’s barrel rider alias just like in the Novel. Skip the Smaug exit scene where he is still covered in gold and just jump to Bilbo approaching the rock vista. Just so you know, I ran the 6GB version through ffmpeg to re-encode it (since it was very broken on my computer, even though it was 100% verified through the torrent client,) and it dropped it down to 1.79GB. So I suggest re-encoding it as it will fix any breaks and also reduce the filesize drastically. Because this is what I thought someone needed to do with these films the moment I walked out of the third one. I haven’t watched this cut yet but I applaud the idea and the effort!